T-Mobile has announced a new Android smartphone today. 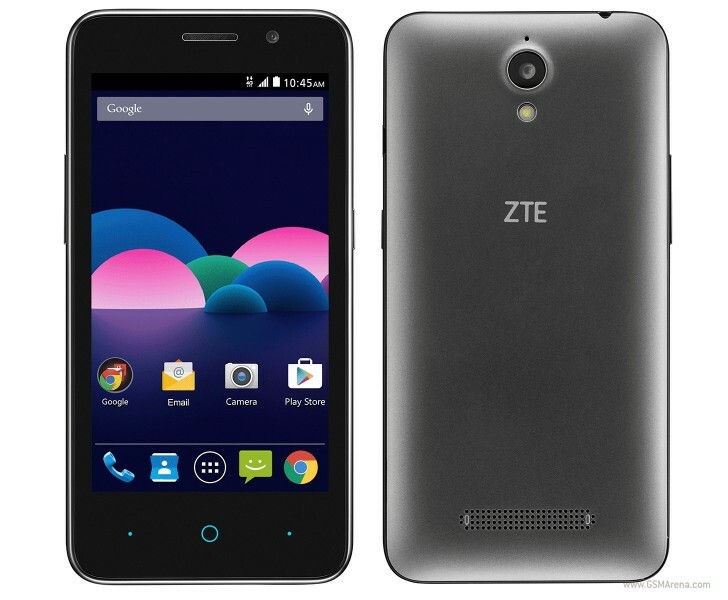 It's the ZTE Obsidian, and it will become available from the magenta carrier, online and in stores, on August 13. This is a lower-end offering, aimed at those who prefer a cheap device with the basics covered. It's got a 4.5-inch 854x480 touchscreen, a 5 MP rear camera with LED flash, a 2 MP selfie shooter, 1GB of RAM, 4GB of expandable storage, and a 1,800 mAh battery. It's powered by MediaTek's MT6735M chipset, boasting a 1 GHz quad-core CPU. The Obsidian comes with 4G LTE support and it runs Android 5.1 Lollipop. It will be offered by T-Mobile for $99.99 all-in. Alternatively, you'll be able to use the carrier's famous installment plan to pay nothing upfront then followed by 24 monthly installments of $4.17.